This entry was posted on July 27, 2008 by Avel Ureño. With features like wireless Internet, video and digital music playback, and incredible data storage and connectivity options you wouldn’t exactly think that we’re talking about portable gaming. But indeed we are with the Sony Portable PlayStation. Offering a complete solution for the mobile and digital lifestyle, from games and music to Internet access and much more — the portable PlayStation is ready for on the go action for you, or the kids! And because it has so much to offer, there is no reason why you wouldn’t want to extend the battery life of such a universal, unsurpassed, portable gaming system. 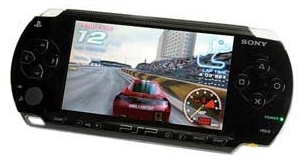 Our portable game system battery fits Sony PSP for extended life of your portable play! Perfect for long road trips, busy gamers, or someone simply passionate about using their portable PlayStation for all that it’s worth. Don’t find yourself waiting around for your battery to recharge, unable to use your device.